Isabelle Lewis and James W. Lewis were both William and Jane Lewis' children that died at a young age. Isabelle lived from 1853-1855 and James lived from 1857-1863. 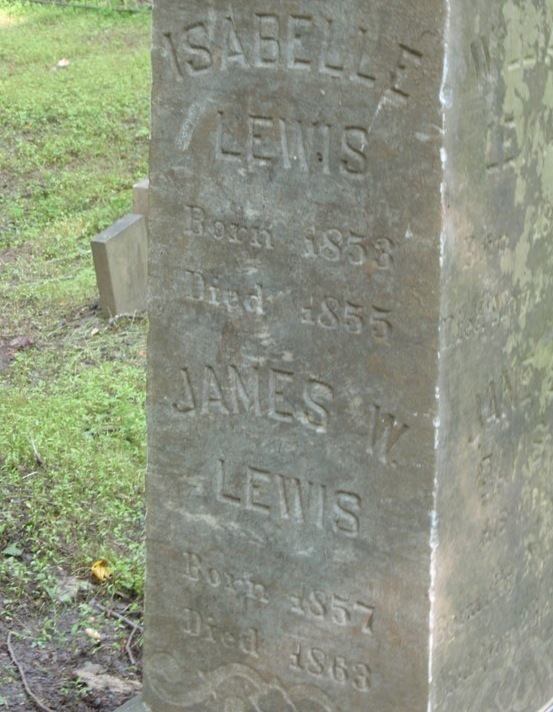 “Isabelle Lewis and James W. Lewis' Headstone,” My Cemetery, accessed April 20, 2019, http://mycemetery.org/items/show/1191.